Dear UK, pls accept my immigration application 2 ur blessed country. To be totally honest, I didn’t expect to fall head over heels in love with London, but that’s exactly what happened. INSTANTLY. UPON. ARRIVAL. 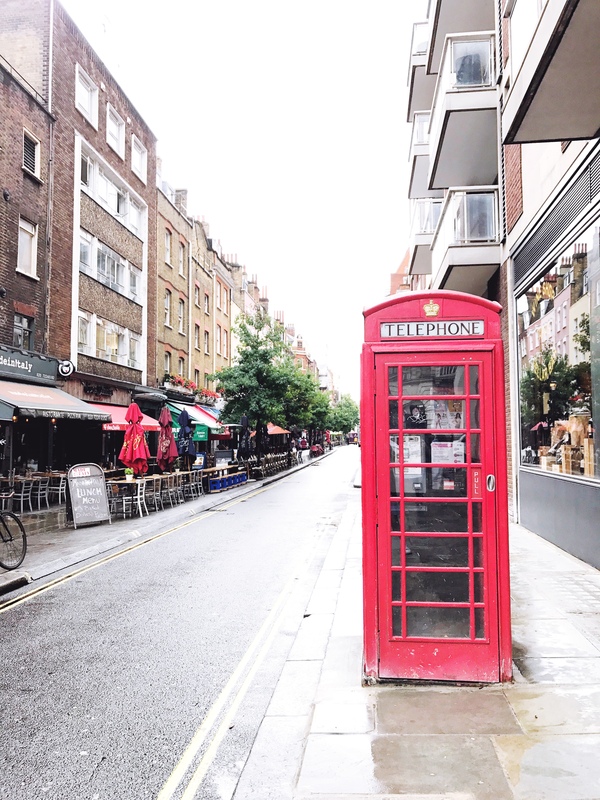 As someone who enjoys warm, sunshiny weather and tropical atmospheres (read: BASICALLY JUST MAUI), grey and chilly London didn’t seem to be up my alley — but there’s a certain kind of magic in this unbelievably charming city, and I was instantly captivated. 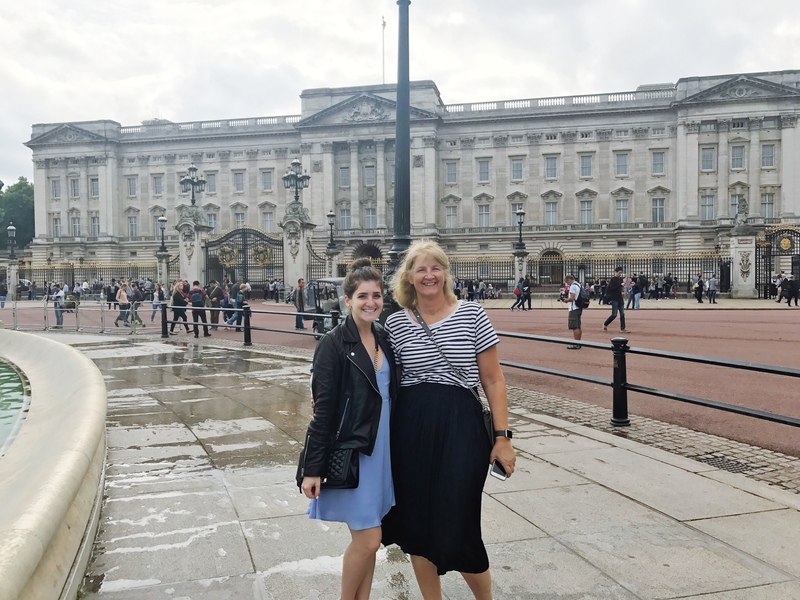 Seeing as I’ve only spent a handful of days in London, I’m far from capable of giving an exhaustive or superlative tour guide, but obviously I’m going to share what we did, ate, and saw, because it was positively exquisite. Also I’m not NOT going to share my travel diary, so here we are. The main catalyst for our trip to this delightful place was that one of my best friends, Amanda (and her awesome bf Macklin) moved there last year for work, and I was dying to visit them and spend some time in their new city. They ended up being the world’s most wonderful Airbnb hosts/tour guides, and I’m so grateful for them, and also grateful they ordered us to eat at Dishoom. We were also blown away by the food in London. After hearing such eh… tepid… feedback about British food, I had falsely assumed we wouldn’t eat well in London. I couldn’t have been more wrong. As a truly international city, London pulls from the best of the best cuisines with the utmost authenticity and the results are absolutely to die for — particularly the Indian food. WOWOWOWOW! I want to scream my love for this place from the top of a mountain. No words will ever be able to describe how f*cking delicious and fantastic and astronomically wonderful Dishoom is. Like, I was told it was a phenomenal restaurant, and that’s accurate, but only if phenomenal is multiplied exponentially to the power of infinity. From the mango lassi and spiced (mine was virgin but you do you) piña colada slushie to the pau bhaji and far far to the chef special (an insaaaane lamb curry situation, Sali Boti) and chicken tikka — I’m LITERALLY SALIVATING right now thinking about it!!! It was so SO good. We effed up by not getting there for breakfast but were the opposite of disappointed in the lunch offering. Now we just have to go back for bacon and egg naan bites. Mmmmm. 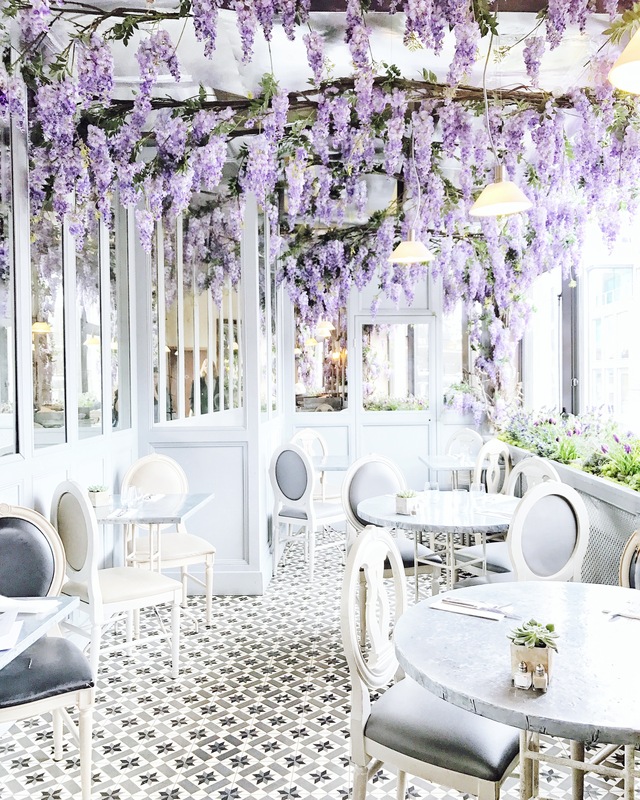 Your wildest wisteria dreams await in the lavender-hued heaven that is Aubaine at Selfridges department store. 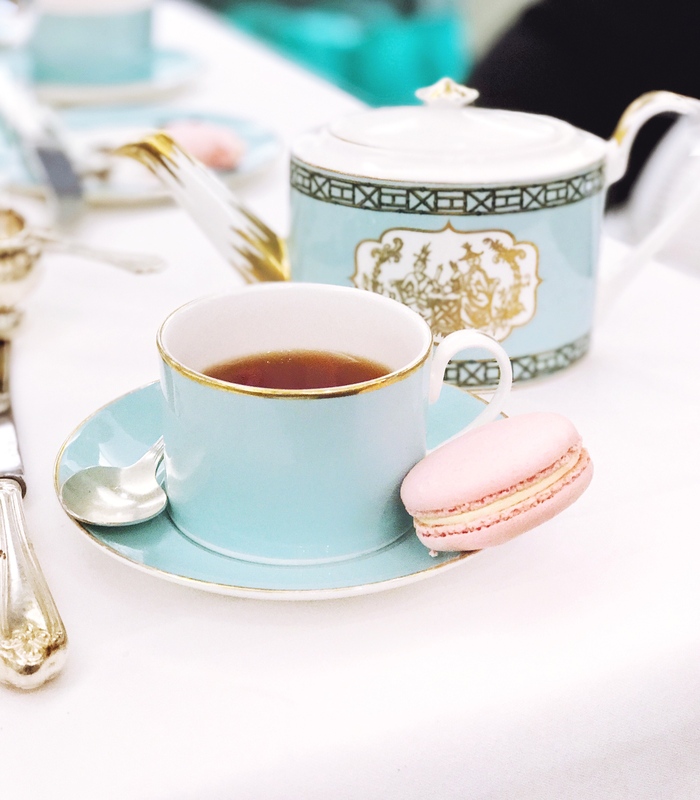 Come for the ‘gram, stay for the delightful French-inspired breakfast and tea at an exceptionally affordable price point. Looking for some fresh fare? A juice bar with brunch options? This is the joint. 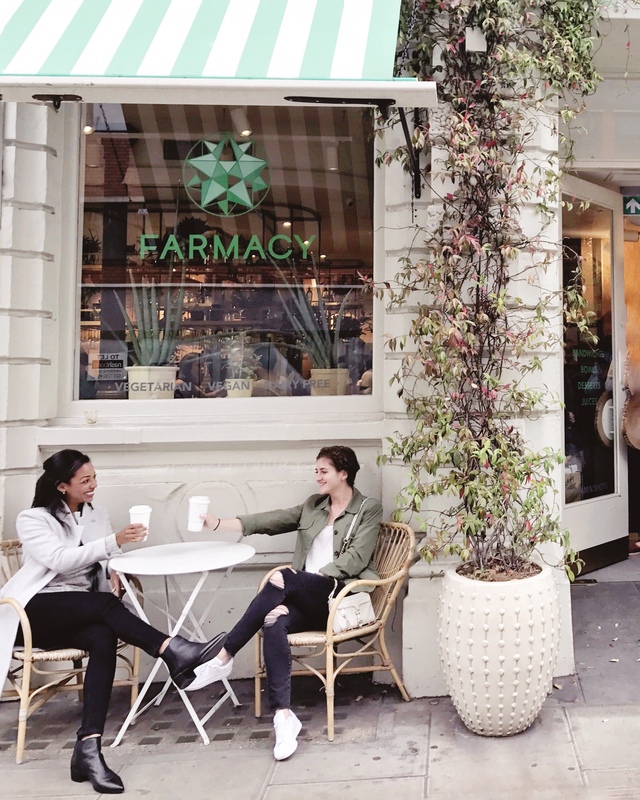 Organic, local, healthy eats. Juices, eggs, toasts, buckwheat pancakes, probiotic bowls, yumminess. With vegan and gluten-free options aplenty, this is sure to satisfy even the most restricted of dieters. So this could be its own post, but I don’t have time for that and here we are. Also, I’m just going to say it: you’ve probably NEVER been to anything quite like Sketch (or its website, for that matter… it’s like a ’90s PC game). It’s not just a restaurant, it’s an experience. From the pink room you’ve likely seen all over Instagram with bizarre drawings on the wall to the space pod bathrooms that look like a watercolor paint palette that you’ve also seen all over Instagram (at the very least Instagram stories) to the neon pink lucite piano in the room that looks like a jungle, it’s like a chic theme park. I mean the menu is a pop-up card for Christ sakes. THERE’S AN ARTSY POP-UP WHEN YOU OPEN THE MENU. At Sketch are restaurants within the restaurant itself (that’s right, it’s not just one restaurant), with dress code descriptors like: “Dress code: Art smart. We ask our guests to dress with a sense of style and character.” Interpret that however you want. I’d like to think I have a sense of character every day but that’s another story. 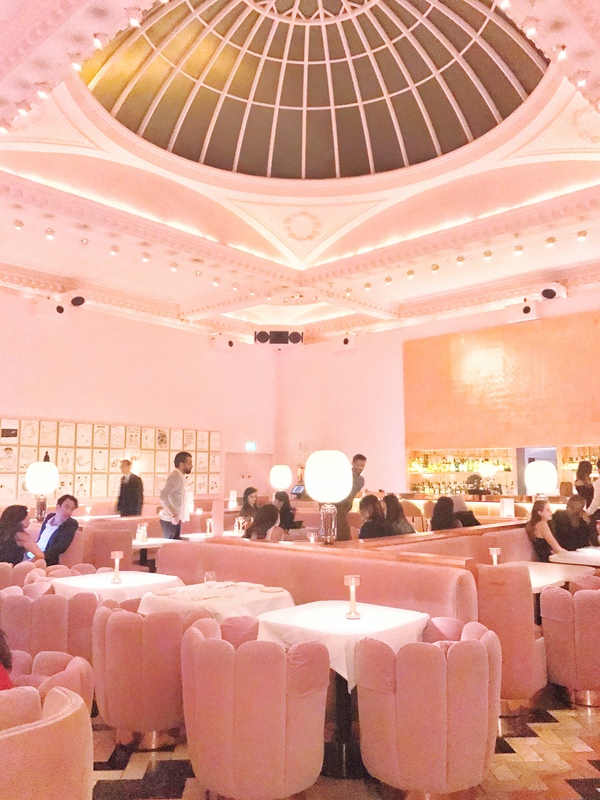 We dined in the Gallery (the pink room from Instagram) which is not their Michelin 2-star restaurant, but instead their “lively brasserie.” Amanda and I split a whole roast duck, which they served in two servings (one of which was the duck meat, the other was foie gras). As many of you know I don’t usually drink, but I had to try the whimsical cocktail menu — the “Whey To Go” looked like a malt shop milkshake (down to the retro glass and the striped straw) and was sweet and creamy, but somehow refreshing and light. The “Far From Vanilla” was a mix of gin, lemon juice, pineapple, vanilla syrup, elderflower, hibiscus tea, vanilla tea, rosemary — read: delicious. Dessert was inverted profiteroles, and they were freakin’ awesome, too. This place was the most expensive restaurant we ate at in all of London, so keep that in mind. In the $$$-$$$$ range on yelp I’d imagine. But like with pound signs you know? If you’re looking for a taste of Italy in the UK, check out Rossopomodoro for some delicious pizza and an Aperol spritz (I didn’t get one but everyone said they were good). I want to write more about this but maybe on another day. Just take my word for it, it’s delicious Italian food. You know the drill. This is a must-try! 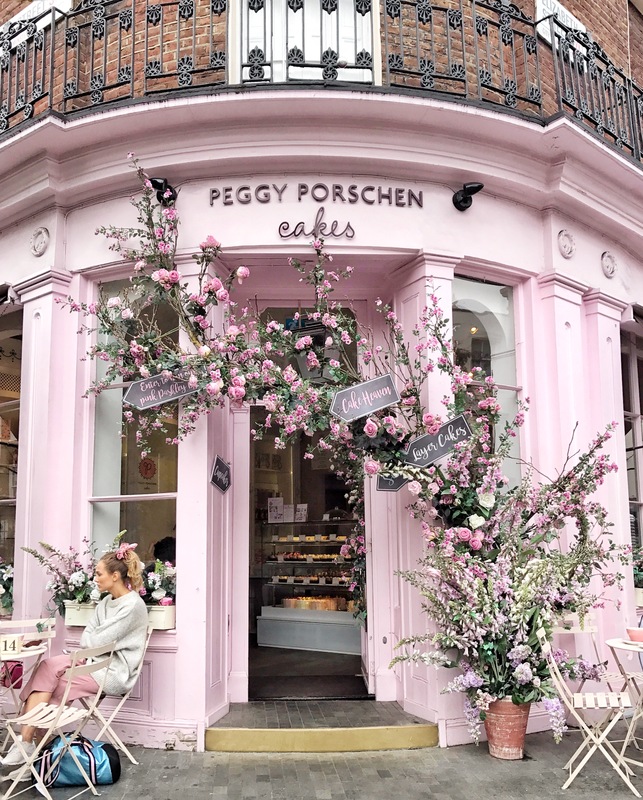 A blogger’s dream made reality, Peggy Porschen is the perfect pastel pink hue with a facade bedecked in flowers, all while housing some of the most delicious cupcakes and tea you’ll ever have. Also, there’s champagne. Stay for a pot of tea (perhaps vanilla rooibos) and get the banoffee cupcake — just trust me on that one. Quick bites: get the coconut cocoa at Pret a Manger (great for grabbing a light bite before hopping on the train for a longer trip) or the golden milk at Starbucks (only available in UK). We didn’t spend tons of time working out (despite having made plans to run through the city and packing an inordinate amount of lululemon) but we squeezed in one sweat sesh with Amanda at her fav studio. Amanda had been raving to us about the SoulCycle of London, and she’s not wrong — Psycle is blast. We had a great instructor and the ride was challenging and fun. I love that you can order a smoothie to have waiting for you after class (just like at Barry’s!). Great locker room accommodations, too. 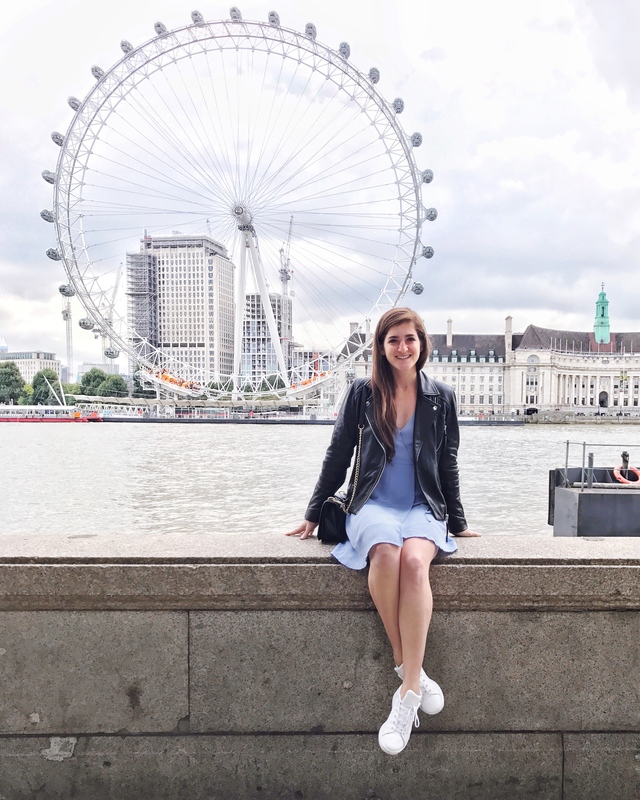 There’s seriously so much to do in London. 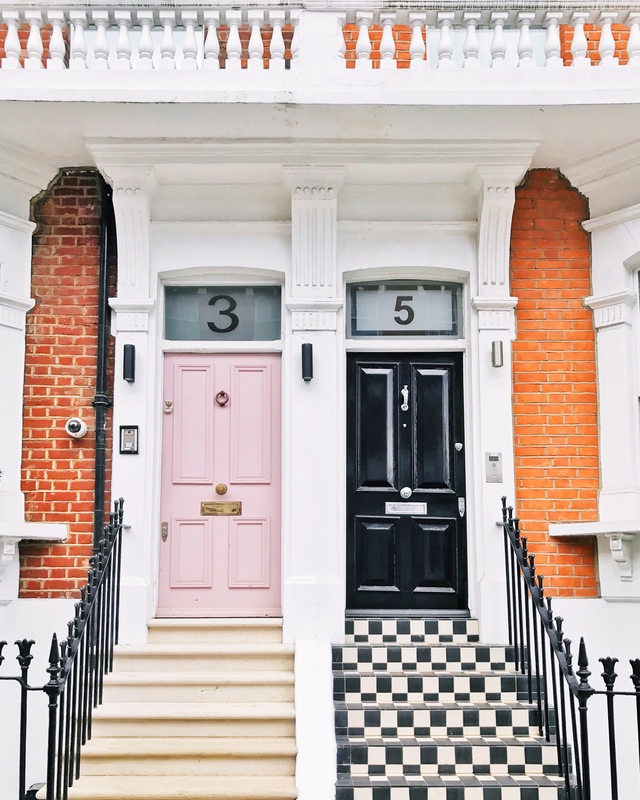 Whether you like exploring parks, visiting museums and getting in touch with history, shopping, immersing yourself in culture — there’s something for you. We focused on historical landmarks and fun dining activities (like high tea, pubs, and farmers markets!). You can’t go to London and NOT get afternoon tea, COME ON. 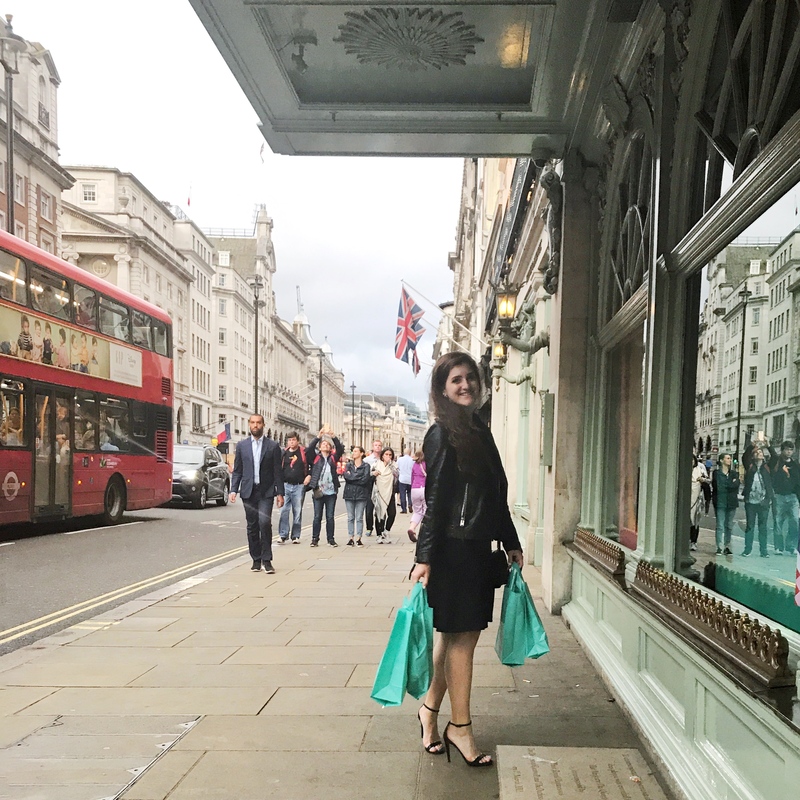 We went to Fortnums and it was such a quintessential London experience; we were so impressed by the tea itself, in addition to the service and the delicious treats (HELLO ROSE ECLAIRE). Fun fact about getting tea: BOTTOMLESS FOOD. No joke, they ask what else you want when you’re through with round one and YOU JUST KEEP GETTING FOOD. Liked one particular sandwich? They’ll bring you six more. Into the scones? There are more where that came from (SO MANY MORE). Listen, I’m not a cheapskate, but like GO FOR LUNCH. Don’t think oh we’ll just have a light bite in between meals…. go get food!! Go with an empty stomach!! IT IS BOTTOMLESS. FREE FOOD REFILLS. The finger sandwiches are delicious (particularly coronation chicken which is like a turmeric curry chicken salad), the treats are bomb, and the tea is really superb. Take some extra time to explore the Fortnum & Mason shop and grab some souvenirs for family and friends. Three must-sees, IMO. You’ve gotta see the city landmarks, and these are three I couldn’t leave without seeing up close. 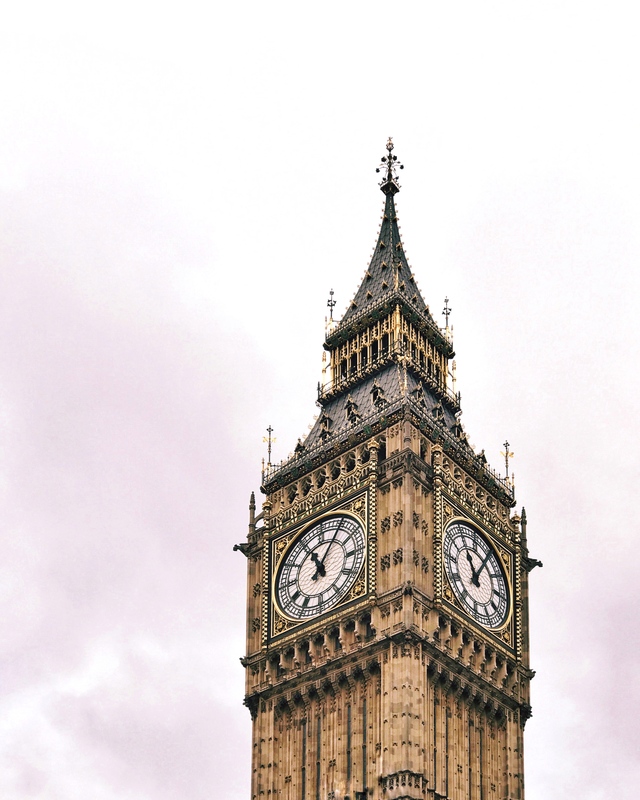 We strolled along the Thames to get views of all three; Big Ben and the London Eye are right across the river from each other (making that part of the excursion even easier). We also made time to check out Westminster Abbey while we were by Big Ben. 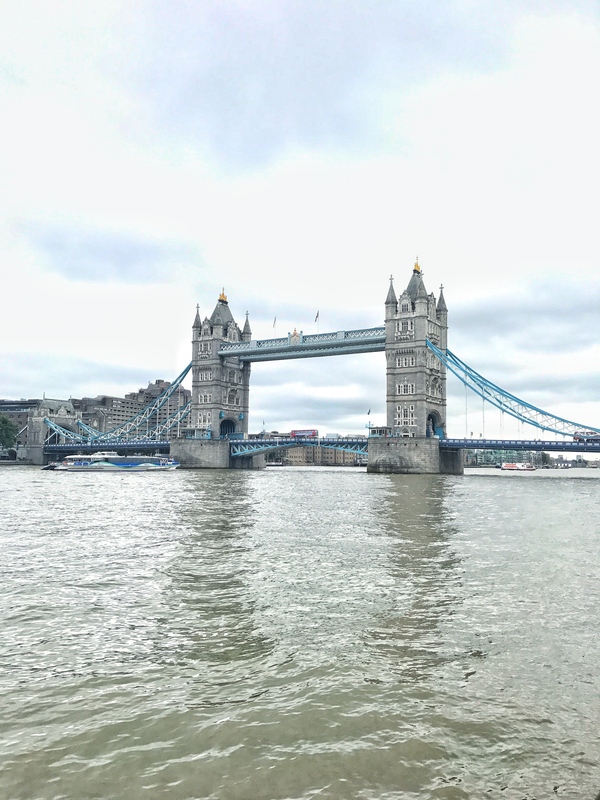 This shot of the Tower Bridge can be found right here on the map. After checking out the Tower Bridge, head to the Borough Market (like an enormous farmers market) for an English meat pie, some fresh squeezed juice, or piping hot paella made right in front of you (with a side of sangria if it suits). Bring cash! 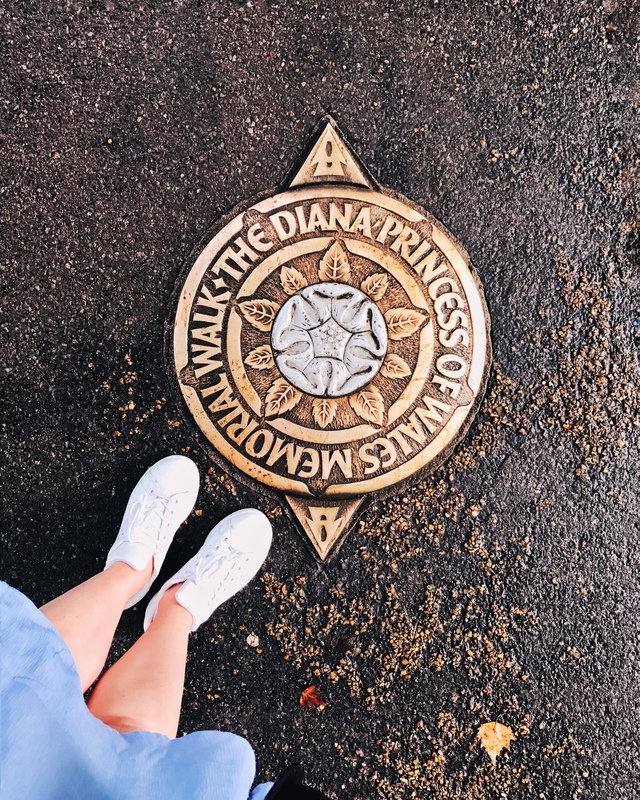 Take the tube to Green Park and go for a calming stroll as you make your way toward Buckingham Palace. Regal AF! Have you ever seen so many flowers in your whole life? Nay. You have not. 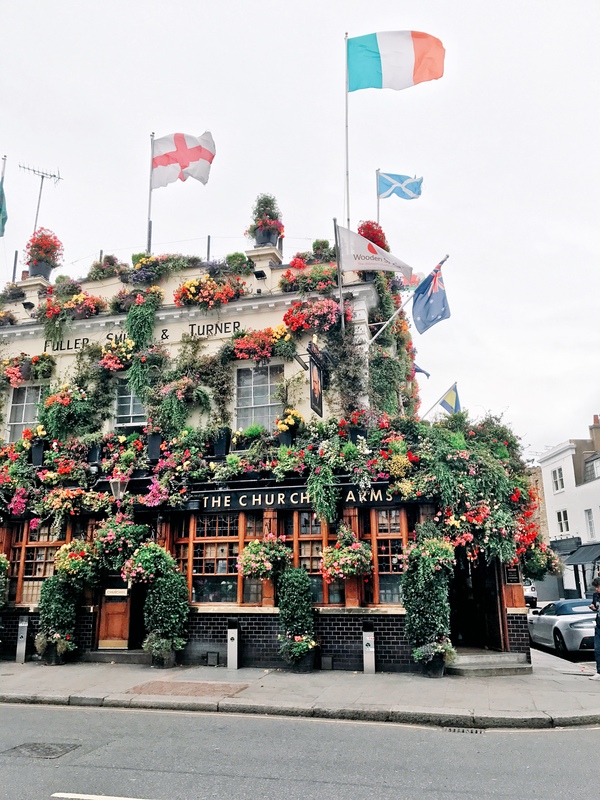 If there’s one thing London does well it’s covering their drinking establishments in flowers. This one was built in the 1700s and has a lot of history (“Winston Churchill’s Grandparents were regular visitors”) — so if you’re going to visit any pub, I’d recommend this one. Grab some fish & chips with mushy peas. Yet another piece of this post that probably should be (and will be) its own separate story, but yet again, here we are. We spent the better part of an entire day at the Harry Potter studios (aka WB studios) in Watford — in addition to our transportation to and from. As a MASSIVE HP nerd, Gryffindor (or Gryffinclaw, depending on who’s asking), and owner of some seriously tattered original hardcover books from the ’90s, this was a super huge deal for me. I’m so grateful my very patient mother agreed to take a day out of her vacation so I could openly weep in the great hall and drink 1,000 calories worth of butterbeer. I promise you I will break this out into a post (Lord knows there are enough photos and boomerangs for it) with tips and things to do, possibly including my video of me on a broomstick flying over the Hogwarts Express. Yep. I paid money for that. ANYway! While I could probably spend several days in Harrods, we took a truncated trip to the Christmas shop. If you’ve spent approximately 4 minutes with me you may in fact know that my favorite seasons of the year are Summer and Christmas, so I was MORE than OK with the fact that the holiday shop was set up in eeeearly September. From portable puddings to gorgeous blown-glass ornaments and decor and beautiful cards, there’s something for everyone to get in the spirit. It was glittery. It was scented. It was glorious. We were worried about getting around, but there was no need to stress. London is one of the most accessible cities I’ve ever been to, with hands down the best public transit. When you get to London, grab yourself an Oyster card and load it with 20 to 50 pounds, depending on the length of your stay. 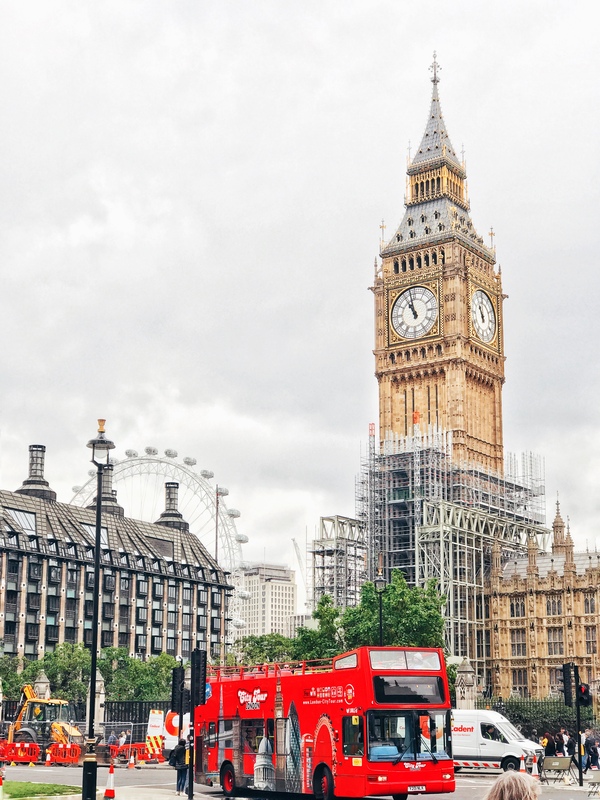 And from there, you can take the Tube and the double decker busses (my personal favorite — it’s a great way to see the city while you’re going from place to place). 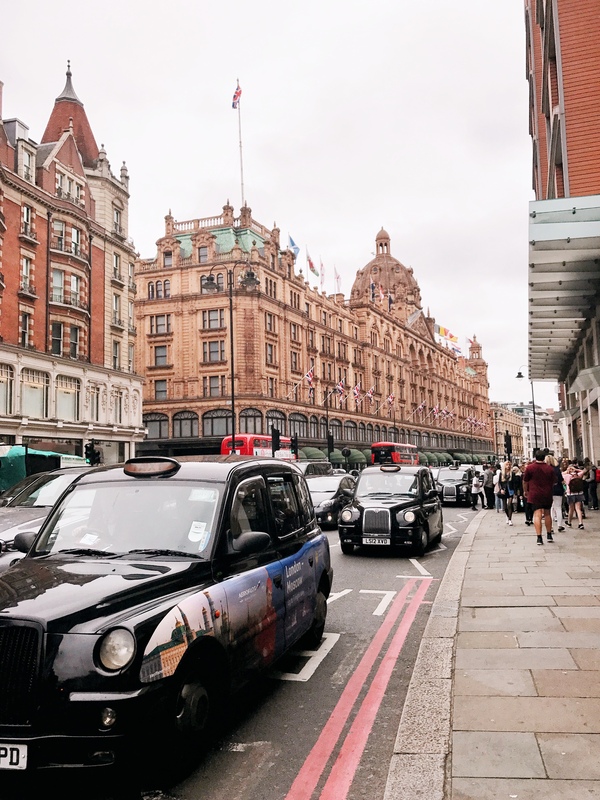 You can take a taxi (RIP Uber) if you’re in a pinch or short on time, but the trains in London are quick, efficient, and way better than what we have in the states (New York included!). You may not know this about me (or maybe you do if you’ve stalked me hard enough or you’re my mom wait mom are you the only one reading this asking for a friend) but my souvenirs TYPICALLY fall into three categories: scents, ornaments, and coffee mugs (from Starbucks — it’s a long story). For the scented souvenir, I went with Molton Brown soaps from the duty-free shopping in Heathrow. They’re SO fantastic, and much cheaper in the UK than they are in the US. One of those things that yes, you can get in the states, but it’s actually made in London and less expensive (about 16-18 pounds for a hand soap in the airport as opposed to $30 stateside). At the airport they have travel exclusives like kits with 20 mini body washes in all the different scents. As you can see, I’m really into this concept. Now I can have a scented reminder of our trip daily. We grabbed ornaments and pudding (which went home with mom) from the Harrods Christmas shop, as well as a little teapot ornament and some actual tea (of course) from Fortnum & Mason. I got my Starbucks mugs (a black and white relief-style mug to match my New York, Boston, and SF mugs, in addition to the England/London espresso mug set) — but the relief mug shattered in my suitcase. SHOUTOUT TO STARBUCKS UK FOR SENDING ME A NEW ONE, Y’ALL ARE HEROES. I tweeted about my broken heart and mug, and they sent a replacement all the way from the UK. Seriously above and beyond. And that’s that, friends. I just wanted you all to know that I’ve listened to Rule, Britannia! on repeat for the majority of the time I’ve been writing this, which was a long time because have you f*cking read this thing it’s like 8500 words long! Thank you again to Amanda and Macklin for being phenomenal hosts, and of course thank you to my mom for being a dream of a travel companion. So grateful for these memories. Loved viewing your pictures! They were all beautiful. Great post, I’m actually heading to London in April so this is very informative.